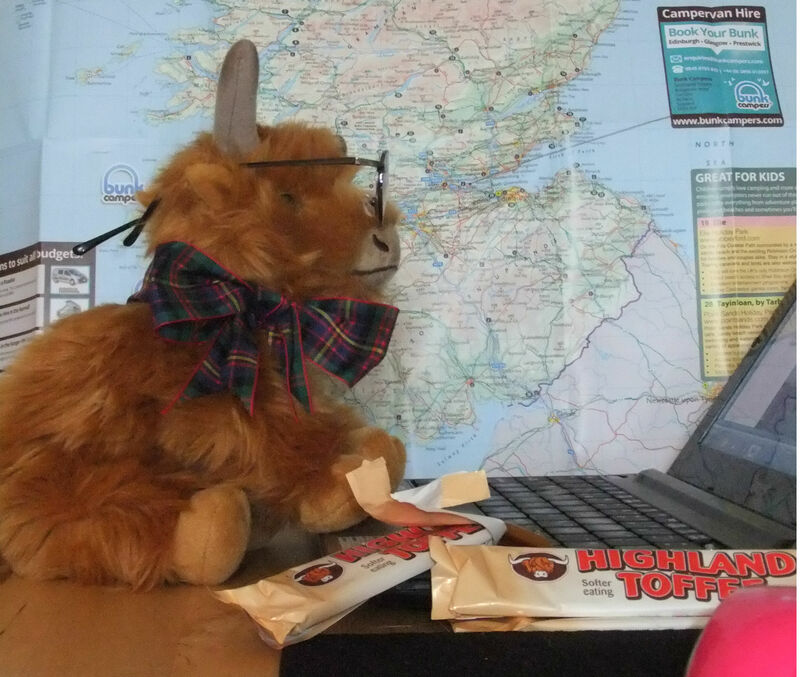 I take my blog very seriously and find that Highland Toffee helps the concentration no end! Hello and welcome to my blog. I’d like to introduce myself and tell you a wee bit about my life and how I came to be writing a blog about my hometown and the surrounding area. Well, I was born and brought up on a farm just outside Helensburgh and, because I used to take part in beauty pageants around the country, my official name was Fionnuala Fifteenth of Feddans! (It’s such a mouthful that I was always known as Morag.) I still have lots of family in the area and you may have met some of them when you’ve been out walking or visiting Ardarden. I don’t like to brag, but I was quite successful on the pageant circuit – I was Champion Female three times at Drymen, Arran and Dumfries, and was Reserve twice at The Royal Highland Show (always the bridesmaid but never the bride). I was also proud to represent my country at the Three Counties Show in Malvern, England and the Royal Welsh Show. I was asked to go over to Ireland, but I was a bit feard of flying so I never did. 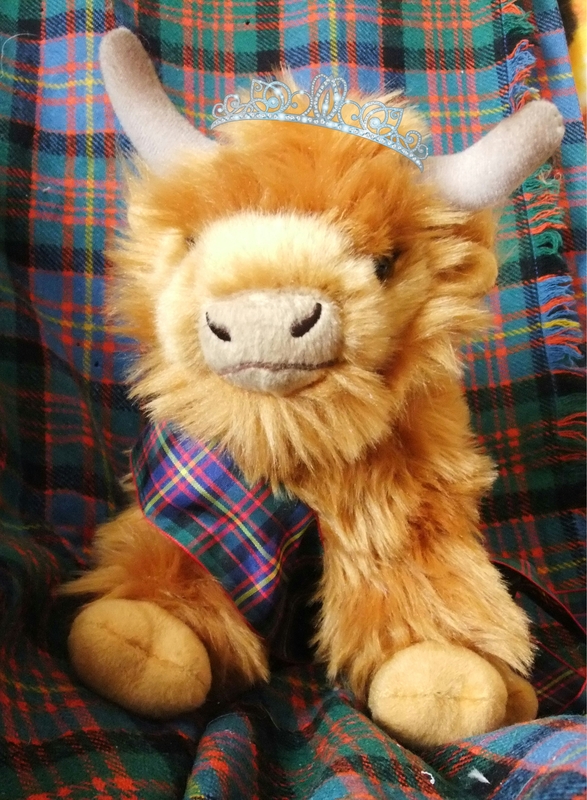 It was a great life for a young coo: I got on really well with the other girls and, of course, you get to meet all the prize bulls, but I didn’t want to go on to the adult pageants and wasn’t ready to settle down and start a family. So, I decided to give it all up and head for pastures new. I do miss all the pampering and travelling though. I wasn’t sure what to do really, but some friends suggested I try my hoof at blogging. I had never thought of doing anything like this, but I like writing and love meeting people and learning about things, so I thought, why not. I’ve already been out and about doing some research and everyone has been really friendly and welcoming. I want my blog to have something for everyone: old and young, visitor and resident, business and customer. I’m interested in local history and stories and, of course, I love being out in the open air so will be trying some of the walks in the area. Helensburgh is the perfect base for exploring other parts of the country and I think there’s a lot to talk about and share. I also plan to go to all the local events and report back on them as they are so much a part of life here. 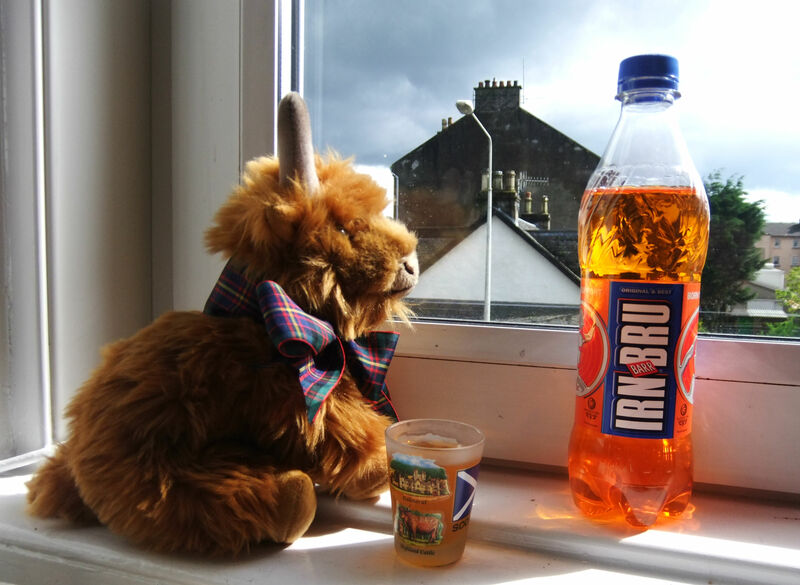 When I’m not writing or researching, I love nothing more than relaxing with a glass of Irn Bru while watching the world go by, or skyping my friend, Aberdeen Angus to catch up on all the gossip. I hope that you will find my posts interesting and that you will share your stories and comments with me, and if you see me out and about, please stop and say hello – it’s always nice to be recognised.